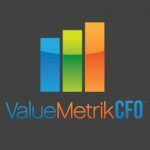 ValueMetrik CFO is a CFO service and accounting firm in Fort Smith, AR. It was formed in 2008 to help small businesses perform better through efficient financial management. They provide accounting, payroll, HR administration, and CFO services. They also offer targeted performance improvement strategies, as well as QuickBooks setup, training, and consulting. In addition, they support other third-party software such as PlanGuru and Bill.com. Work For ValueMetrik CFO? Claim This Page.